Should I Tell A Suitor I Already have A Boyfriend? Girls are so fond of claiming they have boyfriends even when it is absolutely not true. Whether you call them girls,ladies or women,they are all the same,having common characters and same attitudes. We are not saying it is bad to have a boyfriend or to let someone know about it but at what extent and in what circumstances should one reveal she has a boyfriend? Should you tell a suitor,someone who is willing to build a relationship for marriage with you that you already have a boyfriend? Should I tell a suitor I already have a boyfriend? 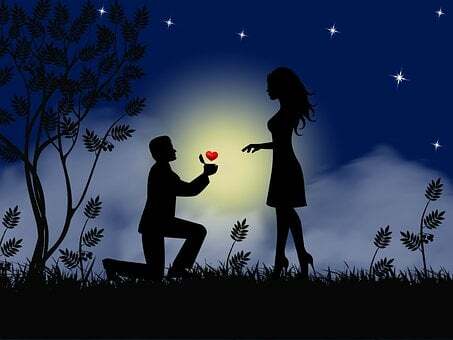 It has been noted that the best way to turn a man down or to refuse a man whom one has no feelings for but is coming for a relationship is to tell him you already have a boyfriend that has asked your hand in marriage and that you have said yes to him. But when reverse is the case is it not unreasonable to still claim the same? We believe that love grows and feelings generate and this is still true today. This is to say that certain things can still be altered. What kind of boyfriend do you have for example? Is he the type that frequently comes to your house for food getting attached to you as if he cannot live without you? Is your boyfriend that man who would not go find something reasonable to do but live on the excuse that there is no job? Is he Mr Romantic who forbids looking unattractive all the time but can go far and wide to borrow a good outfit for himself? What kind of woman are you having him as a boyfriend and yet you are still asking : Should I tell a suitor I have a boyfriend? A suitor is someone who loves you and your person and wants to have future with you. Yes,he wants to marry you!! He is ready and prepared for marriage. He has put up necessary things to give you comfort and make you that woman you should be. What are you waiting for my dear lady? A boyfriend is not a suitor. A boyfriend is not a husband to be until he declares interest. Why would you tell a serious man,a man with vision and future,a man who is capable of carrying out where your father stopped that you have a boyfriend? What is the meaning of a boyfriend my dear lady? Should I tell a suitor I already have a boyfriend? Now this is what you should do: If a gentle man comes to you and shows interest in you be grateful. Do not be quick to tell him you have any boyfriend. Forget that word boyfriend. You are no longer in primary or secondary school where teenagers have boyfriends at their level. At your age,you shouldn't be talking about a boyfriend. You should have a man in your life who is gonna make you a woman! For the fact that that suitor says he loves you should melt your heart for him after all,he doesn't posse any danger to you. He means well! Love grows,feelings generate!! Dear Motivational friend,rather than telling a suitor that you already have a boyfriend,tell your boyfriend you are having a suitor!! A suitor is not asking you for friendship,no,he is asking you for something much better than that!! Yes,tell that your boyfriend,the time waster that you now have a suitor! If he really wants you for marriage,he should quickly begin to act and stop wasting your time for ages. Then,if he never had that intention,he would tell you he is not ready and that would be a good news for you!!! HOW TO TELL YOUR FRIENDS YOU HAVE A BOYFRIEND. At a point in ones life,one begins to see boys from all corners getting attracted to her. Yea,it is very normal! As a girl,lady or woman,you would be taken by a suitor in marriage some day. How do you tell your friends you have a boyfriend? Well,you don't have to tell it,they all have to see it if you truly have a boyfriend. But if they don't see a boyfriend in your life,then be sure you have no boyfriend as you ever thought! All you have is a time waster! One advice: Get out of him,if you want to see your suitor!! !